Dr. Ahmed Halal is specialized in thoracic and cardiac surgery and lives in Jonesboro, Arkansas. 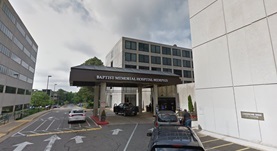 He works for Baptist Memorial Hospital-Memphis. He got his diploma from University of Alexandria Faculty of Medicine and did his residency in General Surgery at Allegheny General Hospital - Western Pennsylvania Hospital. He completed his fellowship in has been in Thoracic Surgery at Indiana University School of Medicine. The doctor is certified in Surgery, Thoracic and Cardiac Surgery and has almost 20 years of practice. Dr. Ahmed Halal has contributed to 1 publications. Cardiac compression secondary to a massively dilated substernal colon conduit. Khan, B. A., Ionescu, R. C., Halal, A. M., Kesler, K. A.; J Pediatr Surg. 2012 Nov.